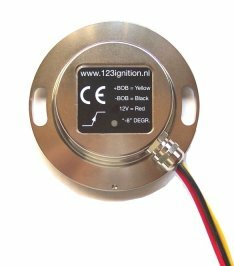 The 123ignition\2CV is designed for all 2CVs ( and derivatives ) with a A79/1, M28 or M28/1 engine. It is a microprocessor controlled device, that replaces all the mechanical parts of the conventional system, like points, cam, and centrifugal weights. The 123ignition\2CV is designed for the stock ( black! ) coil, and is intended for 12 volt systems only. The ease of installation, and the outstanding quality has attracted thousands of happy 2CV-drivers, all over the world.